Movies Watched, September 2017 | A Wordsmith. I was pleasantly surprised knowing I clocked 22 movies throughout September despite my life had been on the down low. It was a month of good movies at work so I had some (if not many) good movies to watch, mostly last year's box office which I didn't have time to check out. Some of them were good — if not monumental, and some just didn't live up to the hype. Baby Driver is simply amazing and Memento was a wild ride. Nocturnal Animal still got me on the fence, though. Let's talk about Sully a bit, though. I mean, IT WAS SO GOOD. I have no doubt over Tom Hanks but the movie absolutely blew me away. Rather than a triumphant act of heroism (i.e Captain Philips), it was a subtle display of immense strength under pressure. So delicate yet powerful. Especially the scene where Sully was informed of how many survivors in the clinic. His relieved expression just gets me. So beautiful. It requires a lot of focus but it pays so much. Probably my current favorite movie and I'm glad I finally check it out. It was that good that I have to rewatch it again during breakfast by the next day. 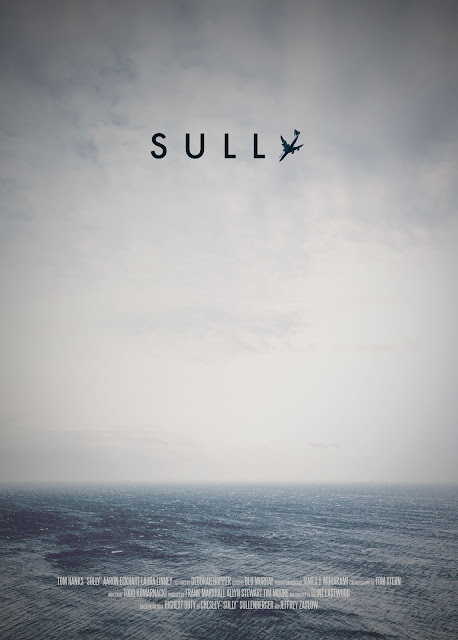 Also, can we talk about how gorgeous the minimalist poster of Sully is? It's so beautifully made by Pete Majarich of Craft and Graft and I got a permission to put it up for this blog post. I think it captured the essence of the movie so well and I really have to share it with you. 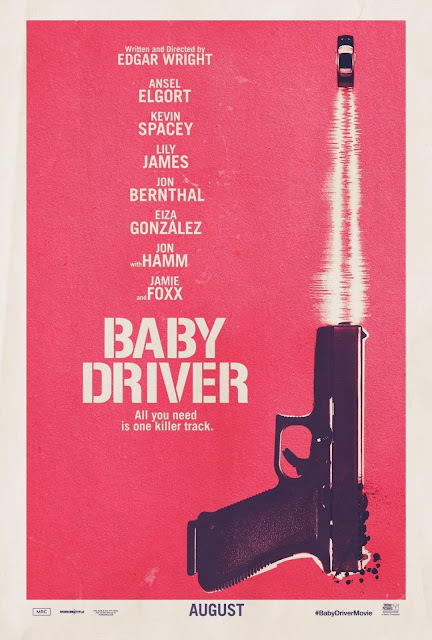 Baby Driver* (2017) — the baby, to me, is Jon Hamm. Period. Grease Live (2016) — fun and full of jam! Nocturnal Animals (2016) — I don't know for now — the rating was more to initial response. I think I need repeated viewing but is there nothing Tom Ford cannot do? The Hurt Locker (2008) — probably the only movie about war I don't mind to watch again and again. Oh, Jeremy Renner my underrated child. Surga Yang Tak Dirindukan 2 (2017) — so bad it's really not good. Sinister (2012) — probably it's not as horrifying as people said because I managed to keep my eyes open throughout the whole ride. But damn it was so good. ATM: Er Rak Error (2012) — had too much fun with the rewatch despite the Indonesian dub is a hit and miss. Movies marked with an asterisk were watched in cinema. For a full list please go ahead to my Letterboxd. Also, for a real-time update, hop onto my diary where I (might) wrote slightly longer review on the movie. Here's my list for January, February, March, April, May, June, July, and August. In another note, last weekend I finally finished The Defenders and Legion! The Defenders was just as good as I imagined but Legion completely caught me off-guard. It has no business to be that good! So mind-trippingly genius. I need to take a moment after I finished the last episode because I grew so fond of the story, the plot twists, the characters and superb acting by the actors. The visual is legit trippy, quirky, and unusual. Proved that X-Men is better set in the 60s, aye? (Hello, X-Men: First Class!) I see the hype now! And Dan Stevens might steal my heart a little too much — not that I haven't absolutely gone head over heels for him since Beauty and the Beast! I am still trying to make time for Blade Runner 2049 and Wind River. I don't know with Kingsman: The Golden Circle so give me your two cents! Thor: Ragnarok is coming soon so I'm really hyped for that! Anything you watched? Anything you're looking forward to watch?